Held every Saturday @ 9:00 am rain or shine. 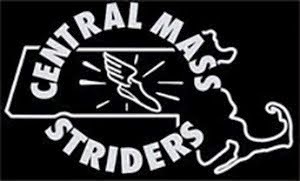 The Central Mass Striders men took on the New Bedford Half Marathon in the second race in the USATF New England Road Race Grand Prix Series. 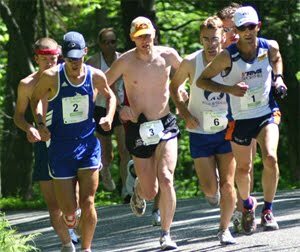 Twenty four CMS men lined up among 2300 runners for the New England Half Marathon Championship. The forecast of snow never materialized for the south coast. Temperatures rose to the high 30’s and a northwest wind whipped onto the once, Whaling Capital of the World. Once the dust settled, CMS took a 4th, 2nd, and 1st in the open, masters, and senior team results. The Grand Prix Half Marathon did not disappoint with the most participation of complete scoring of USATF New England teams. The mens open team was led by Dan Vassallo of Peabody who finished 11th overall. Nate Jenkins of North Andover and Scott Leslie of Rutland finished 18th and 21st. Daniel Raboin of Ayer made his CMS debut in fine fashion placing 53rd. Gregory Putnam of Stoneham rounded out the scoring for the 4th place open team, dropping down from the masters grouping where he finished 3rd overall. Lynnfield’s Thomas O’Shea made his CMS and Half Marathon debut as the 6th CMS runner to cross the finish line. The 21 year old is training for the Maine Coast Marathon in May. The masters team was led with Gregory’s 55th place. Jason Dunklee of Watertwon, who is preparing for the Boston Marathon, was the 2nd master for the team. As they did in the Amherst 10 mile race in February, Seniors (50+) Ed Sheldon of Hooksett, NH and David Principe Sr of Johnston, RI dropped down to score as the 3rd and 4th runners for the CMS masters team. Ed also placed 3rd in the 50-59 age group. Arthur Besse of Templeton who is also racing the Boston Marathon, capped the scoring for the 2nd place CMS masters team. Jeffrey Hadzima of South Grafton made his masters and CMS debut. He is also running the Boston Marathon. The CMS Senior team took their second first place in as many Grand Prix races in 2017. Following Ed Sheldon and David Principe Sr was David Dunham and Dan Verrington of Bradford. John Pajer of Leicester capped the scoring for the first place Senior team for CMS. 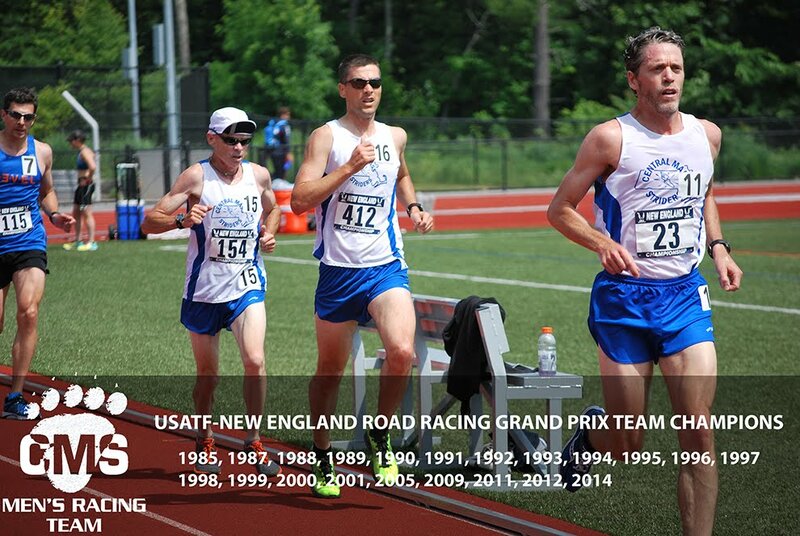 The team will be competing in the 3rd USATF Grand Prix Road Race on April 1 at the Frank Nealon Boston Tune Up 15K in Upton, MA. CMS men swept at the Northeast Snowshoe champs today at Prospect Mountain Vermont. Scott Leslie took the overall victory, Tim Van Orden not only directed the race but topped the masters category, Ed Sheldon was tops in the 50+ and Paul Bazanchuk won the 60+. I took 10th overall and 3rd in the 50+.